This is a fantastic assortment of skincare that can be added right into an existing regimen. Every product is effective, and smell glorious! A must have. I received this box quite a few months ago and have been using the products now for some time. The Votary oil is amazing, great scent and leaves skin soft and hydrated. I also love the lip balm ( which I probably would not have tried if it hadn’t been in the box). The clay mask is actually pretty good as well which surprised me as I wouldn’t normally use a clay mask. 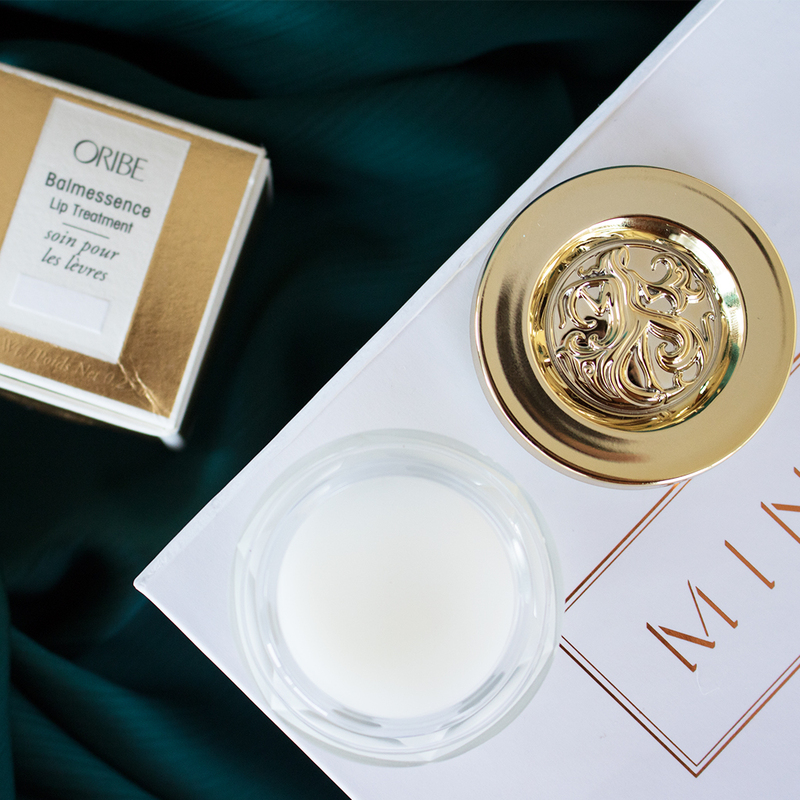 The eye cream is light and easy to apply and does hydrate the eye area. The altitude oil is another product I probably would not have bought, but it does have a pleasant, calming scent and I do use it to relax at times. All in all a great box with a variety of different products to try. 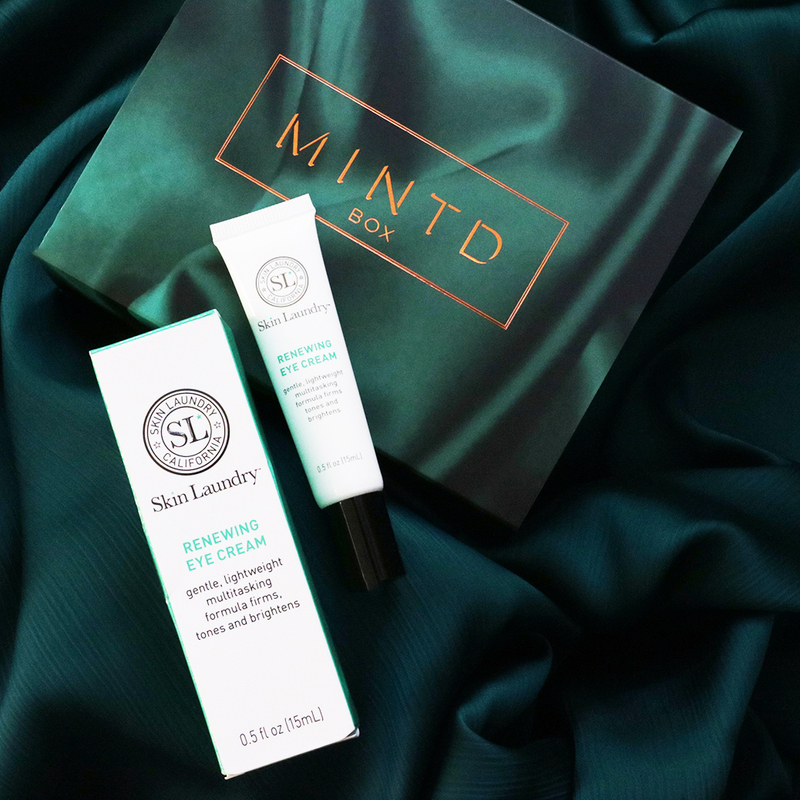 This box is worth it for the votary alone! But even if it wasn't, every product in this box worked for me! 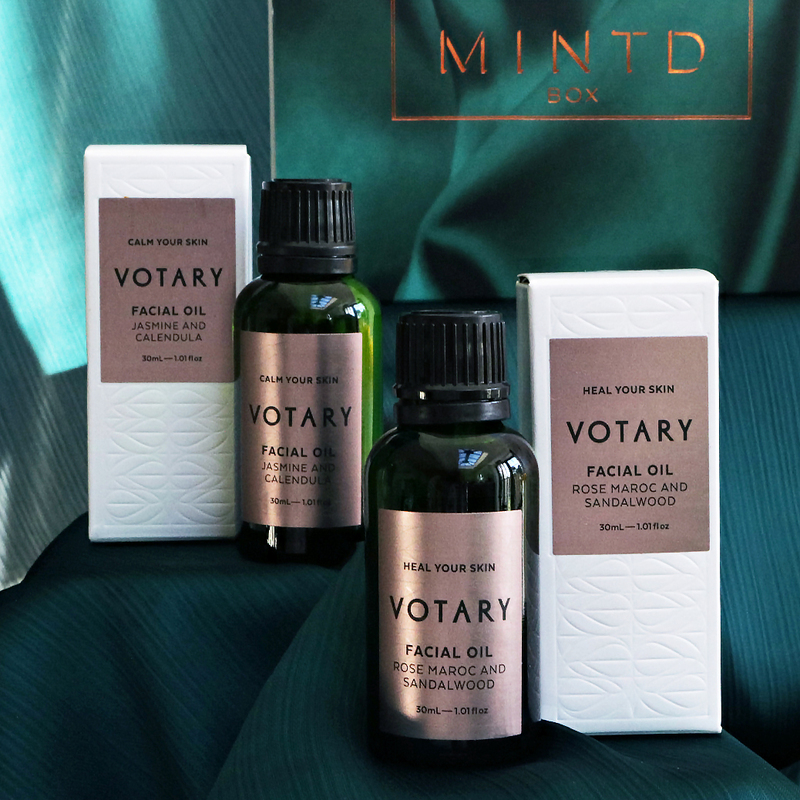 The votary oil is just absolutely stunning and I hope to see more of this brand in future boxes. The lip balm is gentle and luxurious. The demamiel is a surprise product because I hadn't tried this brand before... the quality is excellent and it's such an interesting product. I highly recommend it for anyone who is stressed, underslept, or anxious. It is truly grounding in a deeply therapeutic way! Also, it seems like a small product but it's so potent that the tiniest bit really goes a long way. The mask was also surprisingly good since most clay masks are very drying on my dry Scandinavian skin in the dry Scandinavian weather. I can only use it once a week but I do notice immediate results with this! The skin laundry was also nice to try. I would recommend this box to everyone, in particular someone who is going through a difficult or stressful time because this box is just beautifully grounding in a really wonderful way. Go on and give yourself the treat you deserve! THIS WAS MY FIRST BOX AND I WAS VERY EXCITED ABOUT IT. OF ALL THE PRODUCTS IN IT, MY FAVOURITE ONES ARE THE OIL (REALLY SMOOTHES AND MOISTURIZES MY SKIN; AND BESIDES, IT SMELLS REALLY WELL ) AND THE LIP BALM (I THINK IT'S EVEN BETTER THAT EVE LOM ONE, WHICH WAS MY FAVOURITE TILL NOW, BECAUSE IT STAYS FOR A REALLY LONG TIME ON LIPS AND WHEN I WAKE UP IN THE MORNING MY LIPS ARE NOT COMPLETELY DRY; THERE'S STILL A LITTLE BIT OF BALM, THAT'S SOMETHING I REALLY LIKE). BOTH ARE REALLY NEW BRANDS FOR ME. 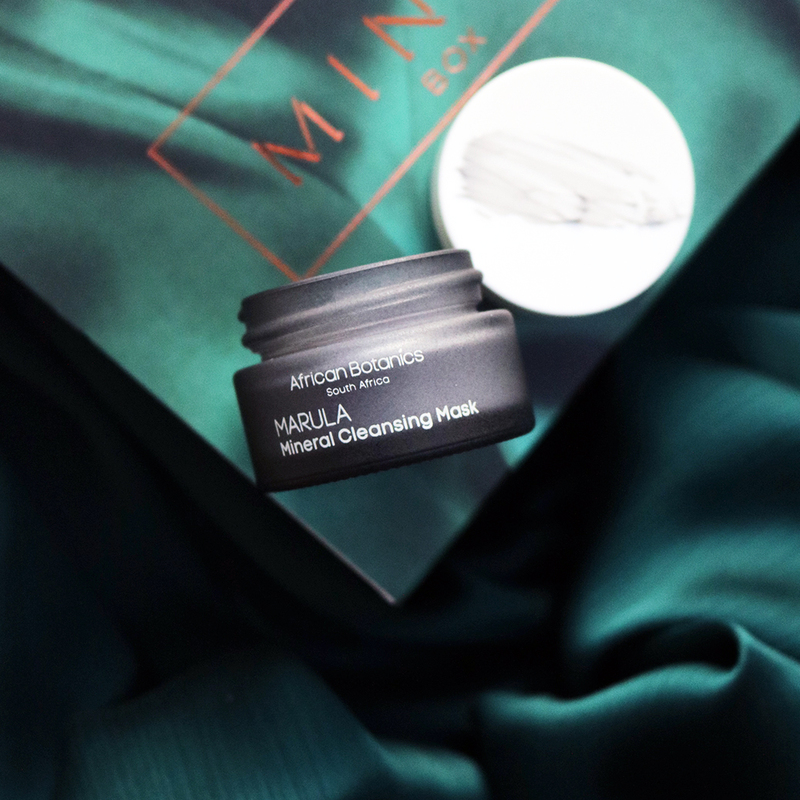 THE MASK IS ALSO GOOD (CLEANS PROPERLY AND DUE TO ITS OILS IS NOT SO DRY AS OTHER SIMILAR CLAY MASKS), BUT MY EXPECTATIONS ABOUT THIS BRAND WERE HIGHER. REGARDS THE EYE CREAM I SHOULD SAY IT'S GOOD SPECIALLY IN TERMS OF MOISTURIZING (MY EYEZONE IS REALLY DRY WHICH MAKES COMPLICATED TO CONCEAL DARKNESS) AND SINCE I'M USING THIS PRODUCT AT NIGHT I'VE NOTICED A LITTLE IMPROVEMENT, BUT IN MY OPINION IT'S A LITTLE LIGHT FOR ME. I PREFER RICHEST FORMULAS. FINALLY, THE ALTITUDE OIL IS SOMETHING SO NEW FOR ME THAT I DON'T HAVE AN OPINION YET.